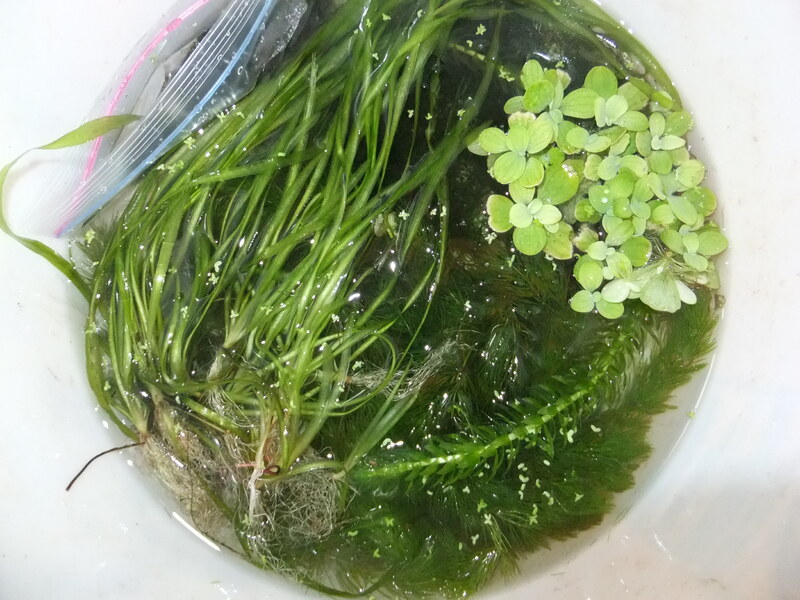 At some point I will post more info about growing live plants, and their benefits to your aquarium. I do it as simply as possible, very low-tech. When I get too many plants I have been giving them to our local Tropical Fish Shop but this time I am shipping some to my nephew in Missouri. I used a bubble-wrap mailer, a zip-lock bag and just a little water. I think that next time I will use one of the Post Office’s 5 dollar boxes. For now, the plants are in the mail and let’s hope they get there soon. Sharing plants and sharing fish, it makes Fishkeeping fun!